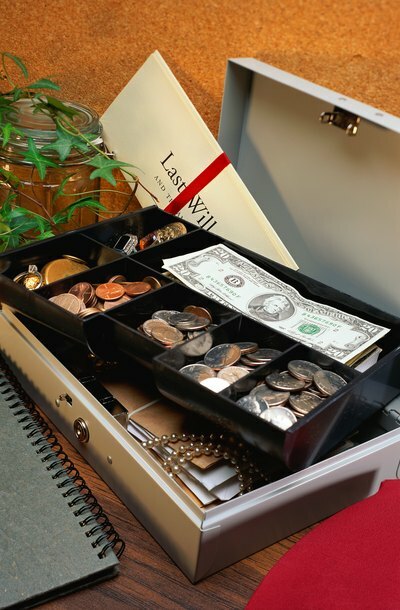 When a beneficiary renounces his legal rights to a bequest in a will, or otherwise declines an inheritance, his action is called a disclaimer of interest or renunciation of interest. Generally, such a disclaimer is irrevocable, meaning the beneficiary cannot later change his mind. Once the beneficiary files the appropriate disclaimer paperwork, as required by the state and within the state's prescribed time limits, the disclaimer is effectively made and is a permanent action. As a result, the beneficiary is treated as if he was never named as a recipient of the asset. This is not the same as a transfer made directly from a beneficiary to a third party, although a disclaimed inheritance typically passes to someone else after it is disclaimed. Beneficiaries have varied reasons for disclaiming an inheritance, including simply not wanting to own the particular asset. For example, if you leave your china set to a beneficiary who doesn’t like the set, he could disclaim the inheritance and let it go to someone who does want it. Beneficiaries may also want to disclaim an inheritance if it negatively impacts their taxes or would likely go to creditors. Beneficiaries who receive public benefits, like Medicaid, might disclaim an inheritance in an attempt to continue qualifying for those benefits, but this may not be effective because a disclaimer typically disqualifies a Medicaid recipient from receiving benefits for a certain period, as determined by state law. The effect of your beneficiary’s disclaimer varies by state law. Some states treat the disclaiming beneficiary as though he died before you, so his share in your estate is distributed to other beneficiaries accordingly. This may result in the disclaiming beneficiary’s share going to his children, which makes it similar to a gift from the disclaiming beneficiary to his children -- but without a gift tax. But some states, like Texas, permit you to make other arrangements in your will to specify to whom a disclaimed inheritance should go. If you don’t want a specific person to inherit any of your assets, you can include language in your will specifying that no inheritance shall go to that person even if a beneficiary disclaims a bequest from you. A beneficiary can disclaim his own interest or, if he is underage or mentally incapacitated, his legal guardian can disclaim it on his behalf. Some states, like Montana and Texas, allow a person acting as a beneficiary’s agent to disclaim that beneficiary’s share under the authority of a power of attorney. Many states require that formal disclaimers from someone with authority to act on behalf of another be submitted within a certain period of time, typically within nine months of your death, and disclaimers after that period may not be effective. Some things in life – such as paying taxes – are unavoidable. Accepting an inheritance isn't one of these things. Under a Texas law known as the "relation-back doctrine," when someone names you as beneficiary in his will or trust, he's offering you property, nothing more. You don't have to accept it, but Texas has rules you must abide by if you want to refuse or disclaim it. After you do so, you can't change your mind.